The survey commissioned by Sitra looked at how people are using digital services and whether data leaks and abuses have eroded people’s trust in services that collect and use data. 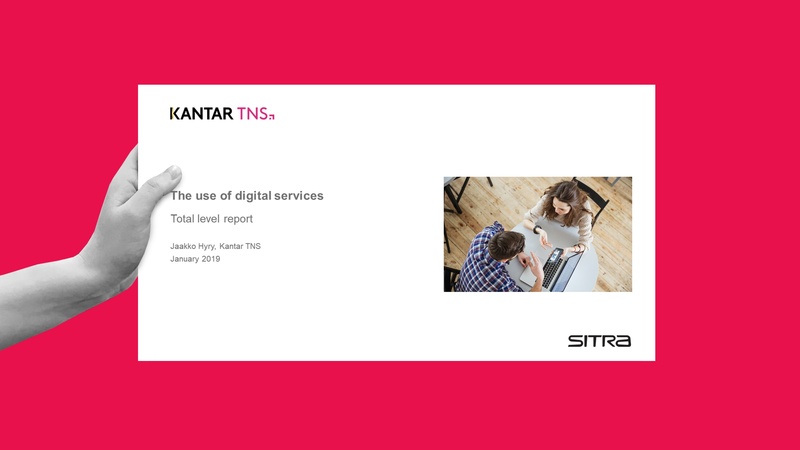 Commissioned by Sitra, Kantar TNS Oy conducted the survey in November and December 2018 in Finland, the Netherlands, France and Germany. More than 8,000 respondents took part. Separate reports concerning the Netherlands, France and Germany can be ordered by sending an email to ihan@sitra.fi. The use of digital services (raw data) (Excel). The survey was conducted as part of Sitra’s IHAN® project, which aims to build the foundation for a fair data economy and create international rules and solutions for the fair exchange and use of data.